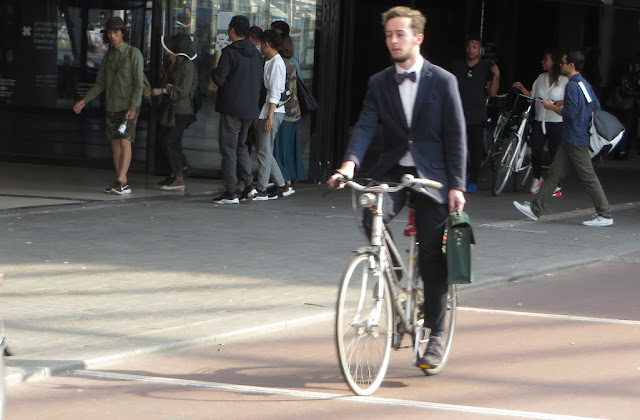 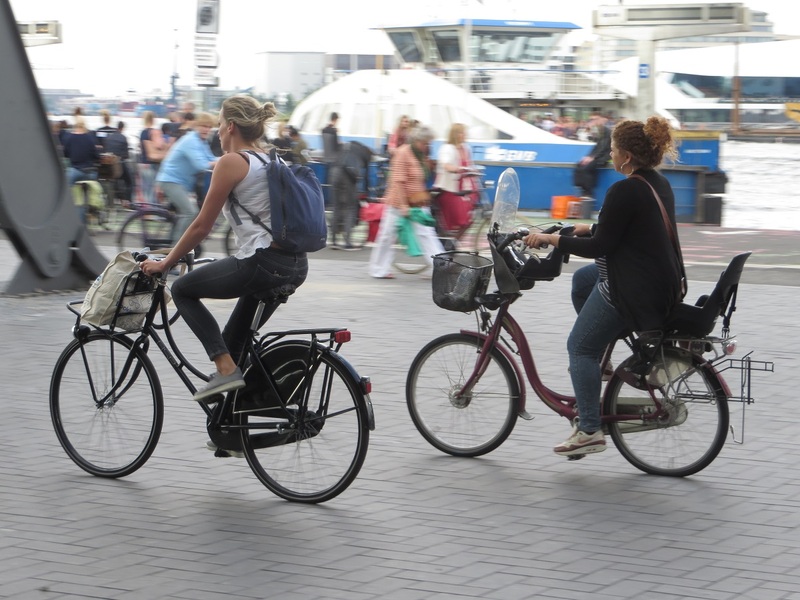 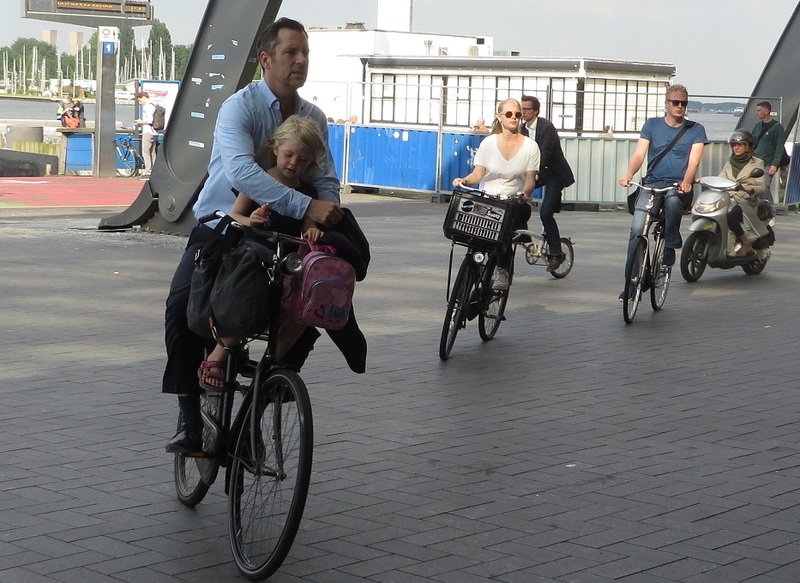 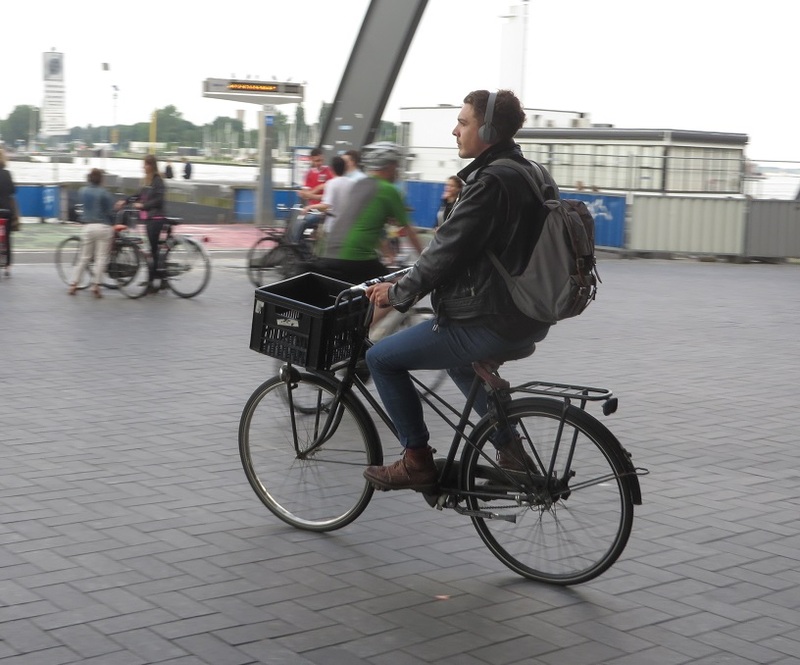 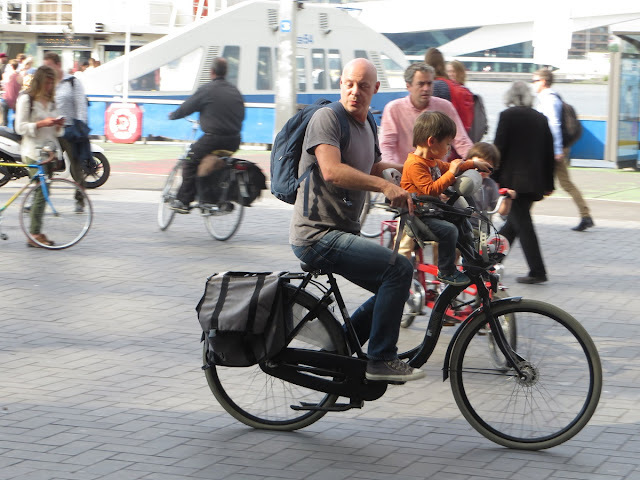 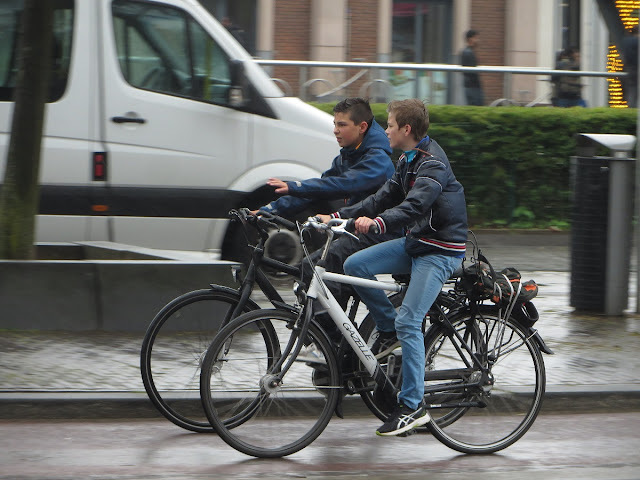 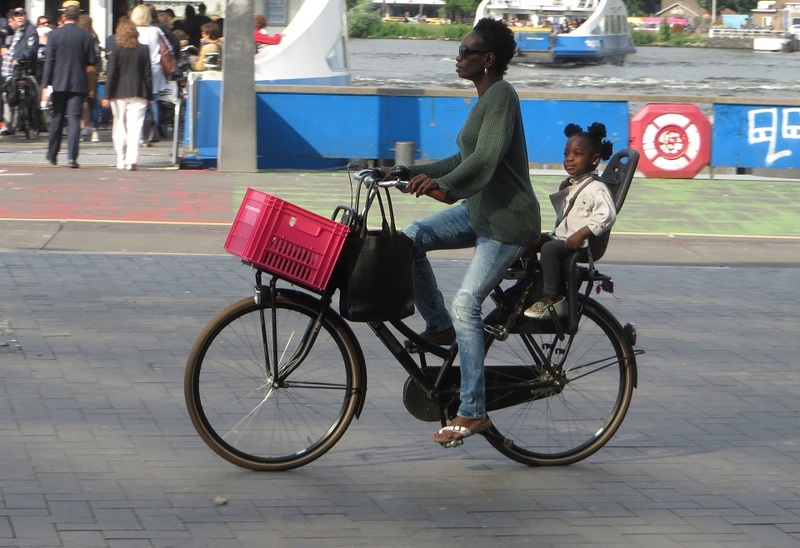 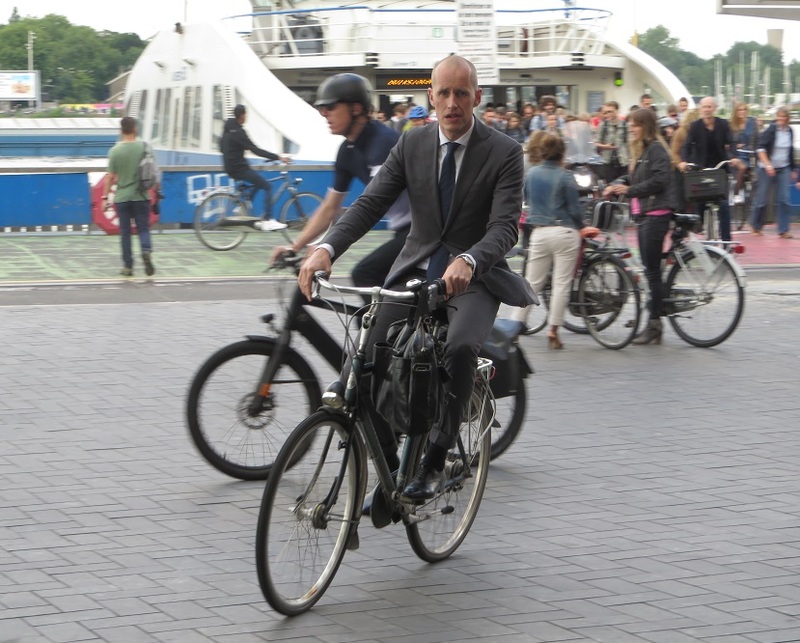 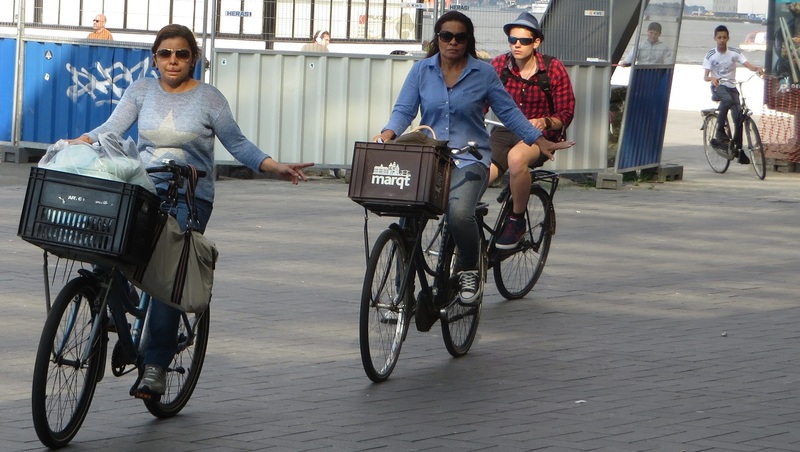 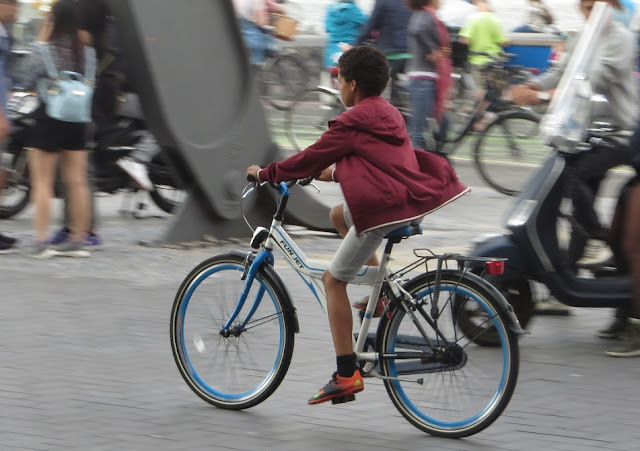 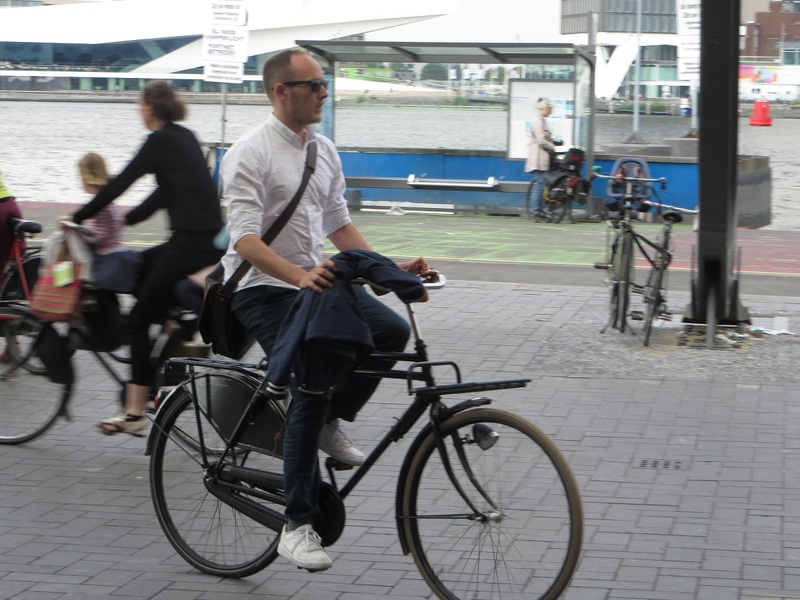 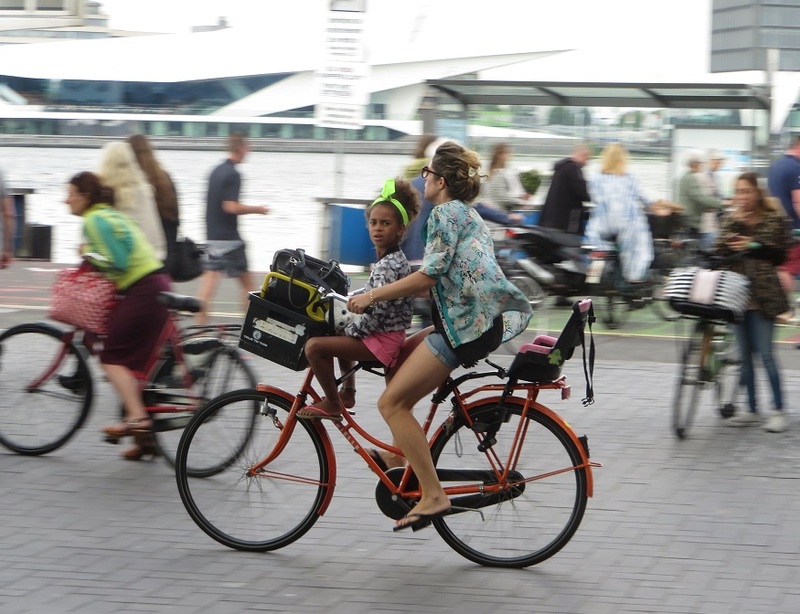 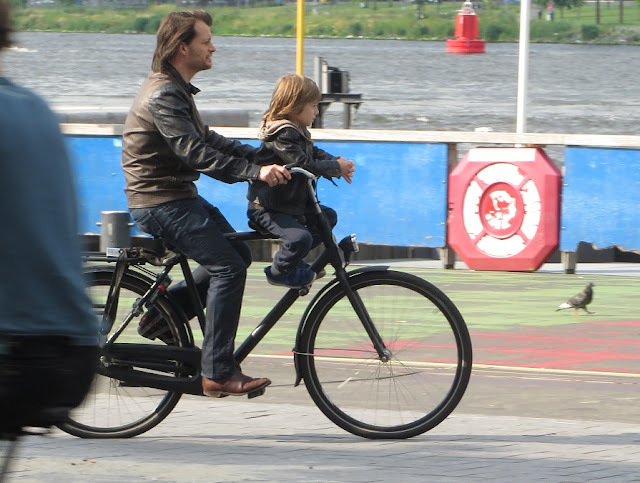 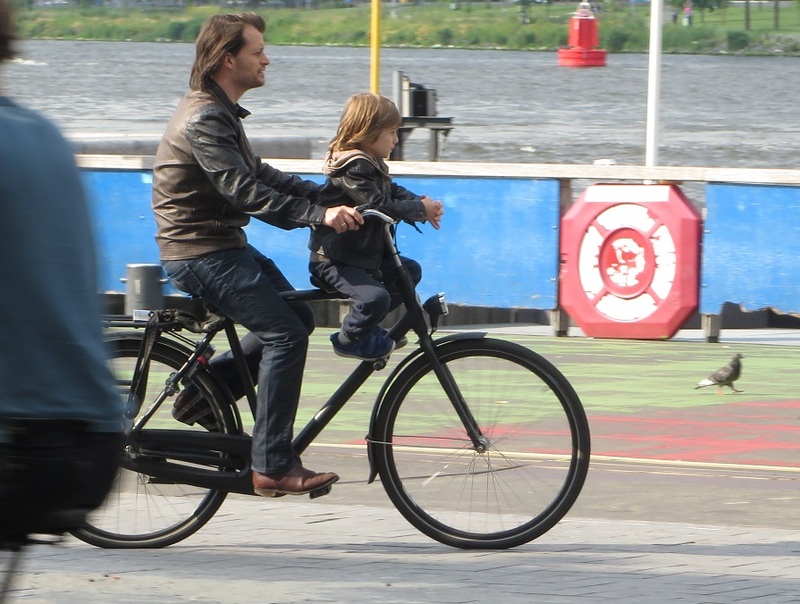 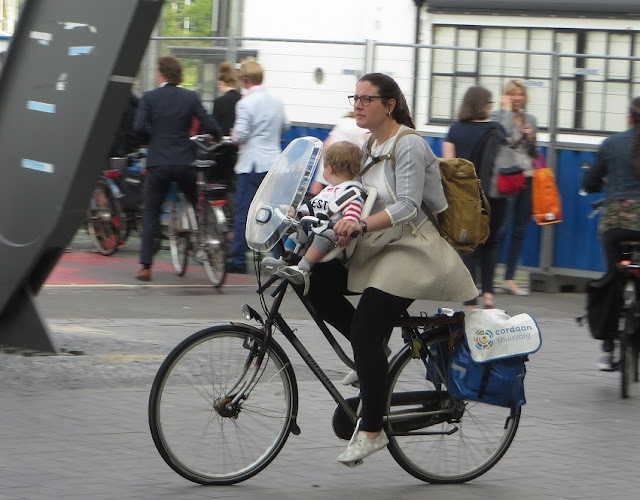 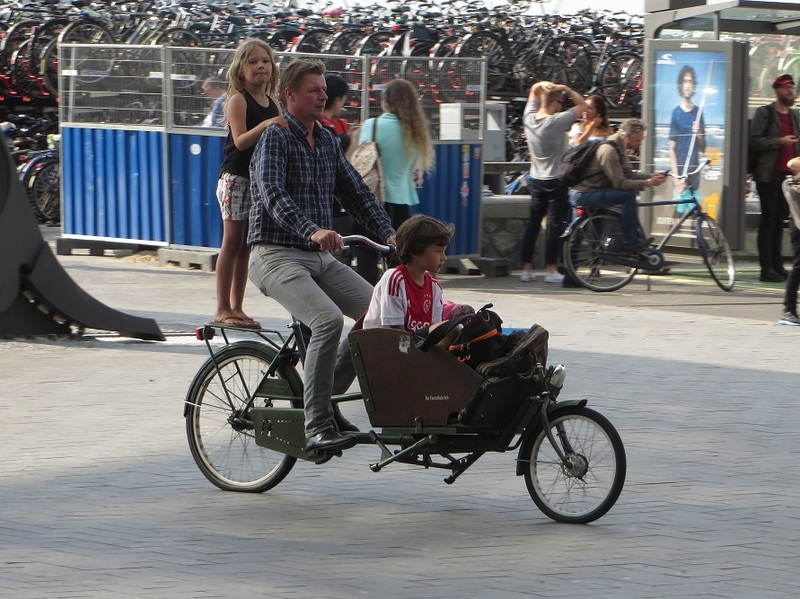 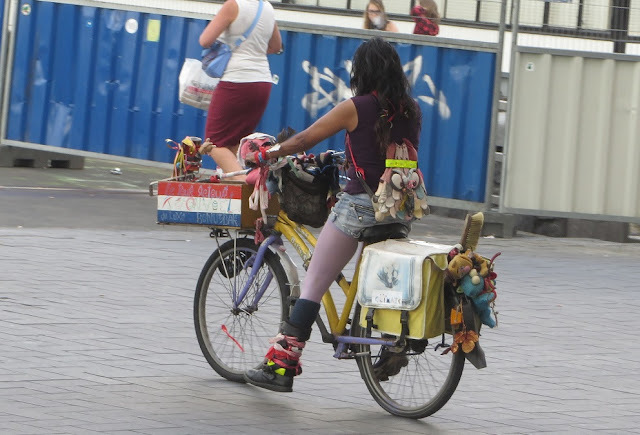 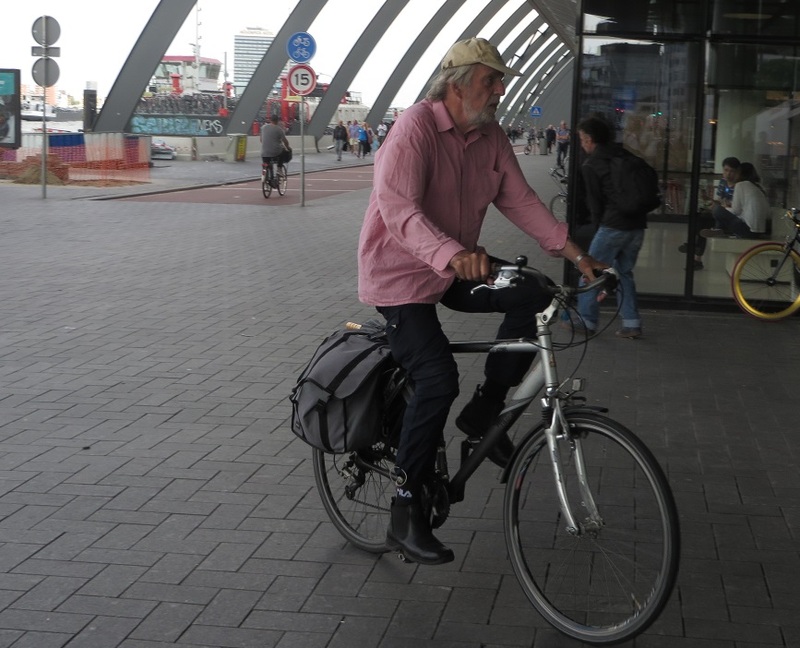 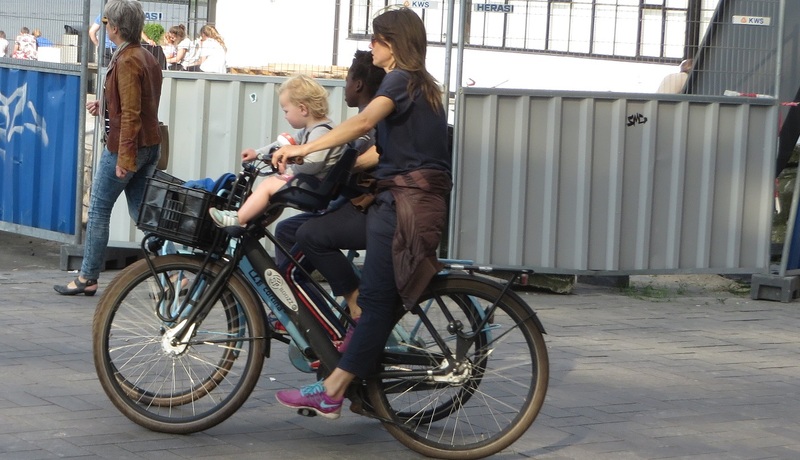 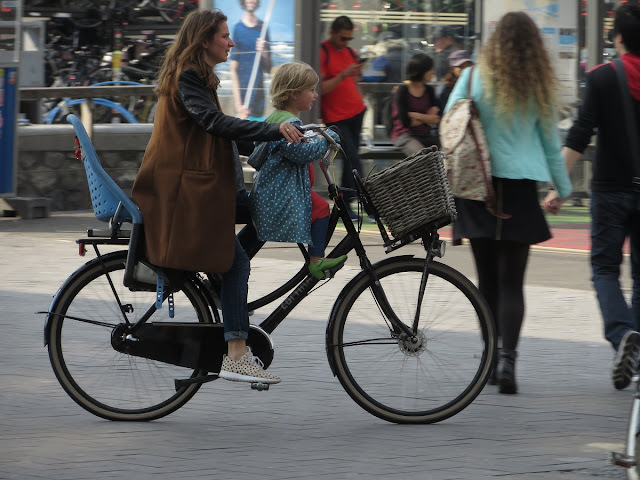 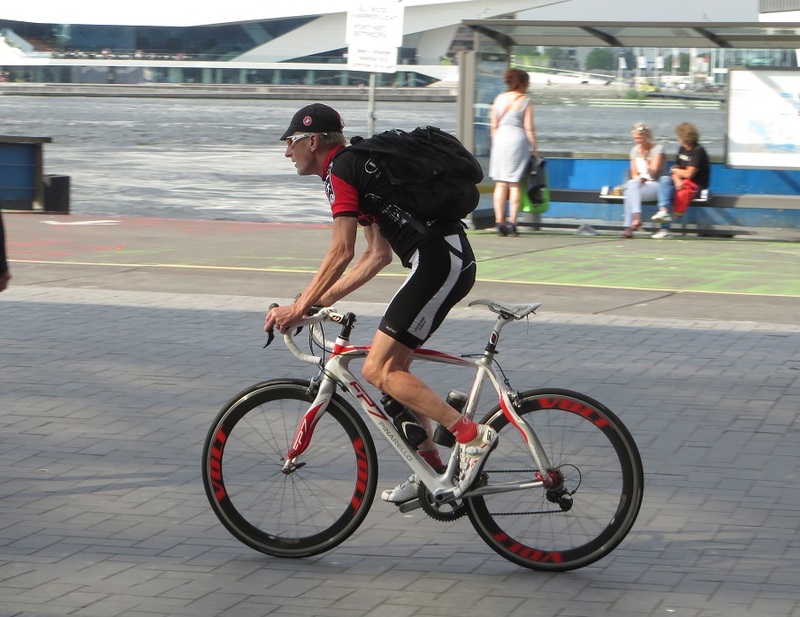 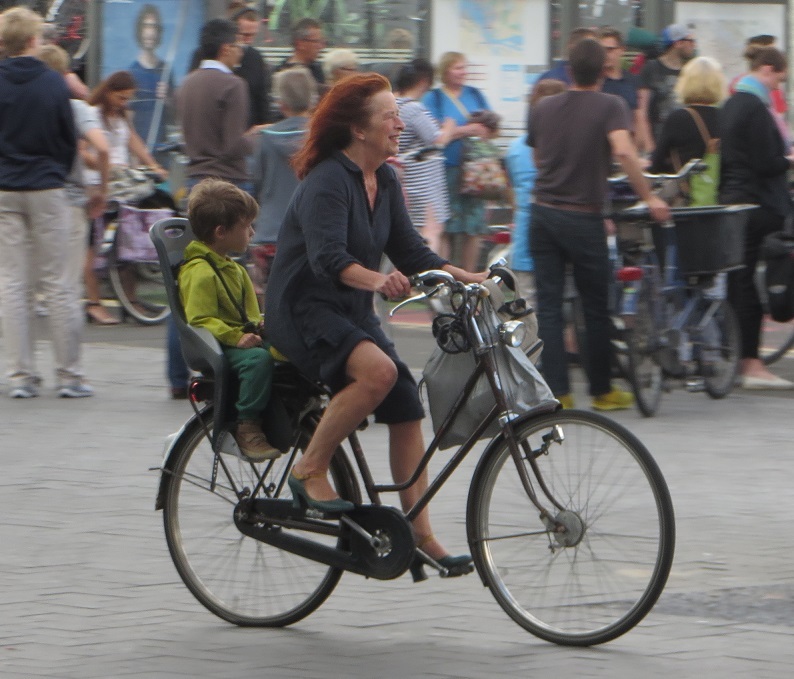 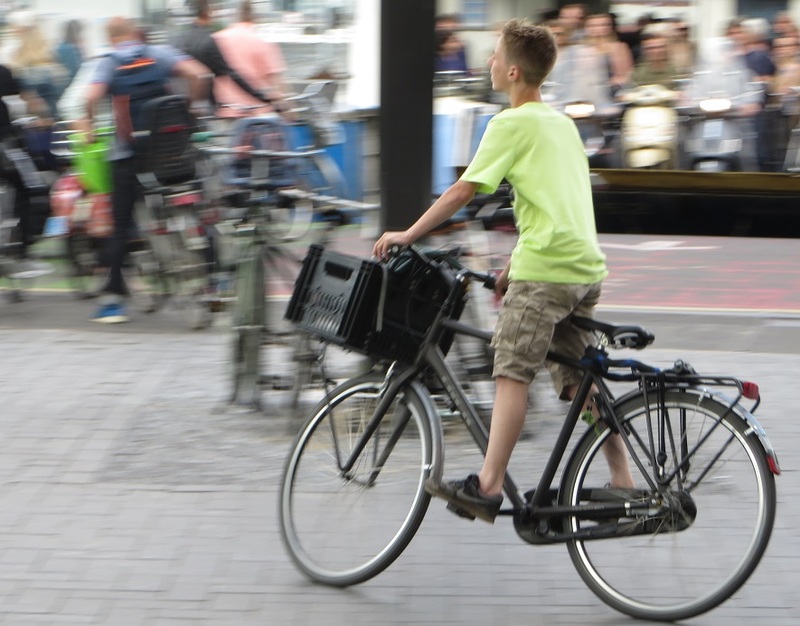 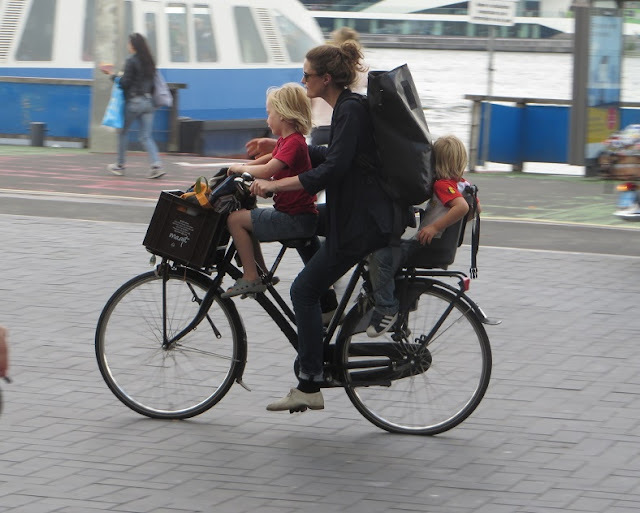 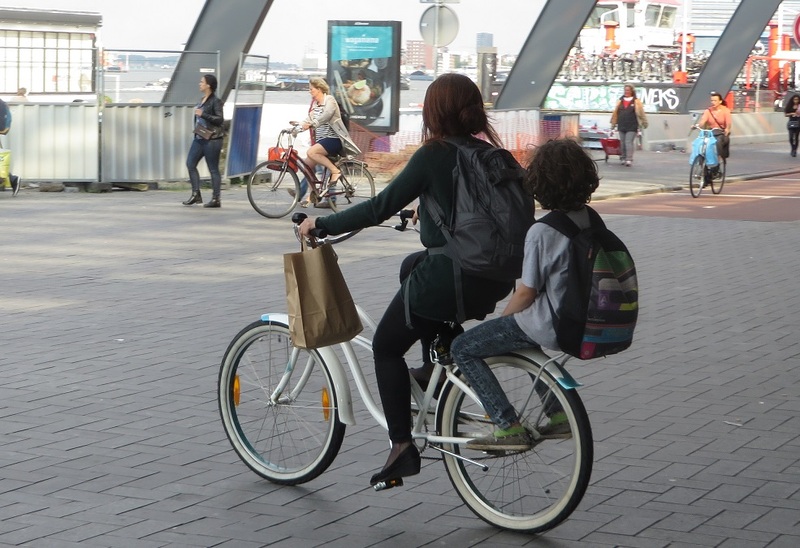 A week ago I stood outside Nijmegen station for around ten minutes, with a broken bike, taking pictures of people cycling. 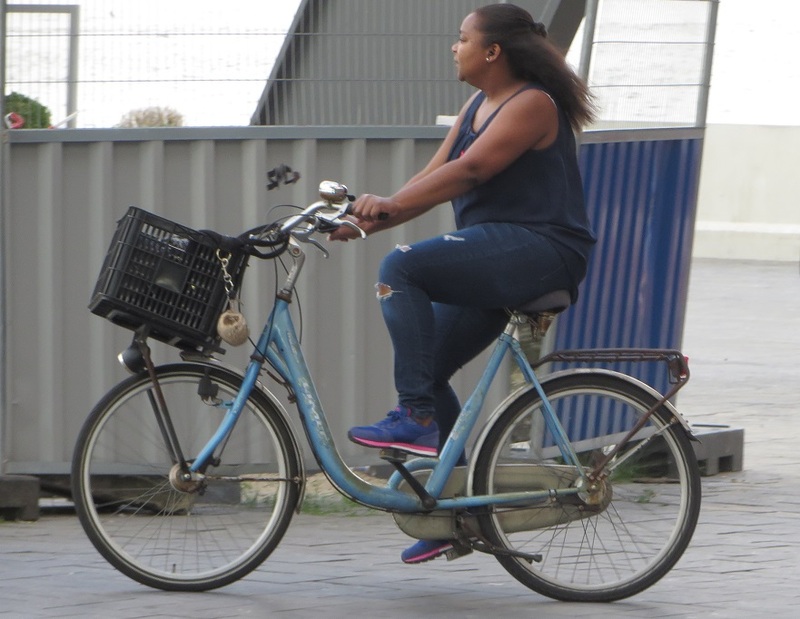 I then went into the bike maintenance area in the large bike parking lot under the station to get it fixed and then stood outside again taking more pictures as I realised I would not have a bike for the rest of the day. 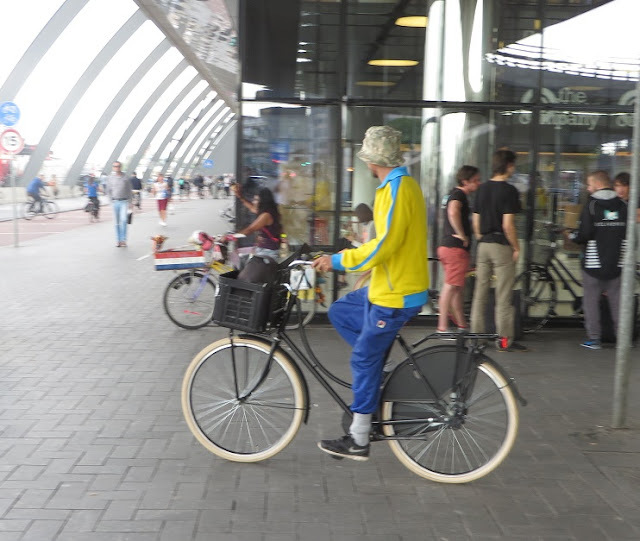 Below is a selection of those photos in the order I took them. 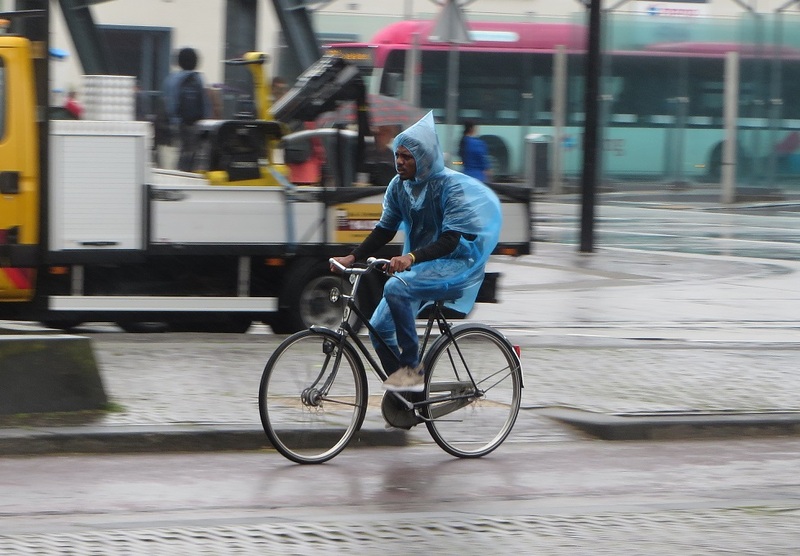 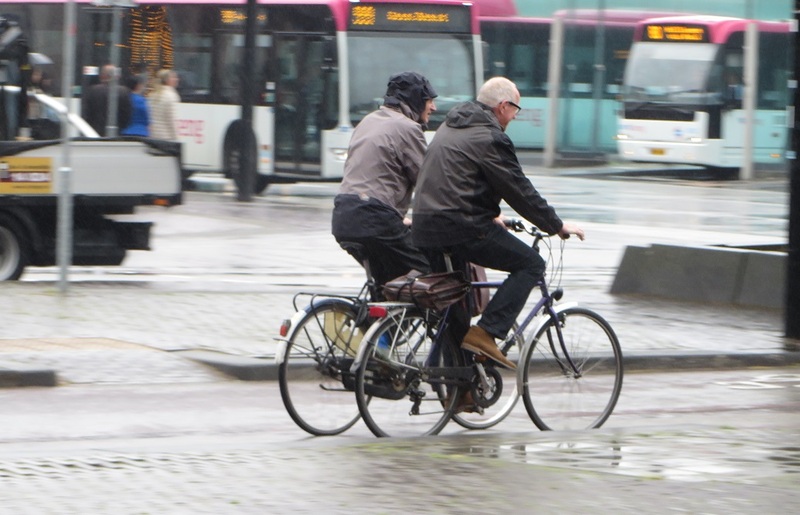 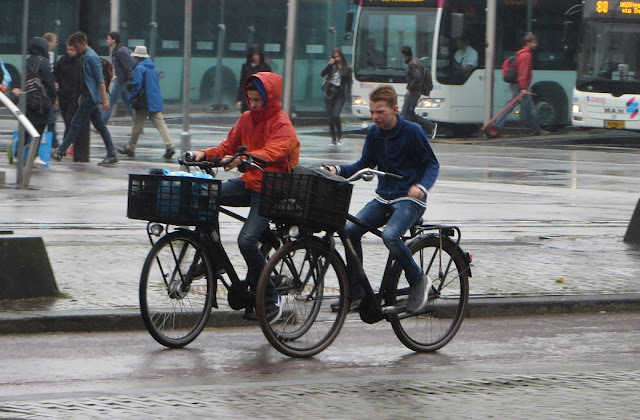 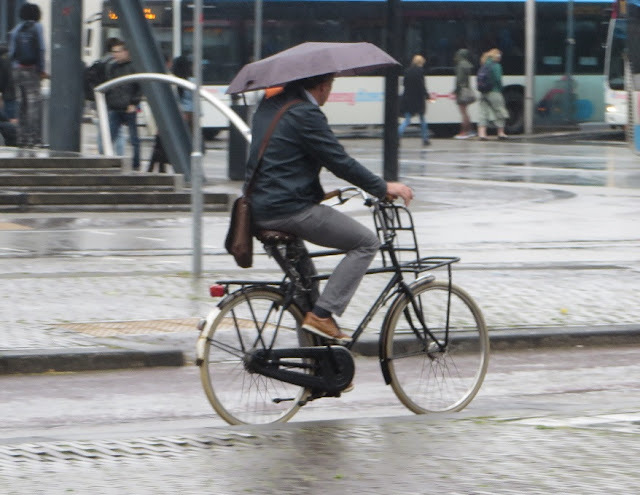 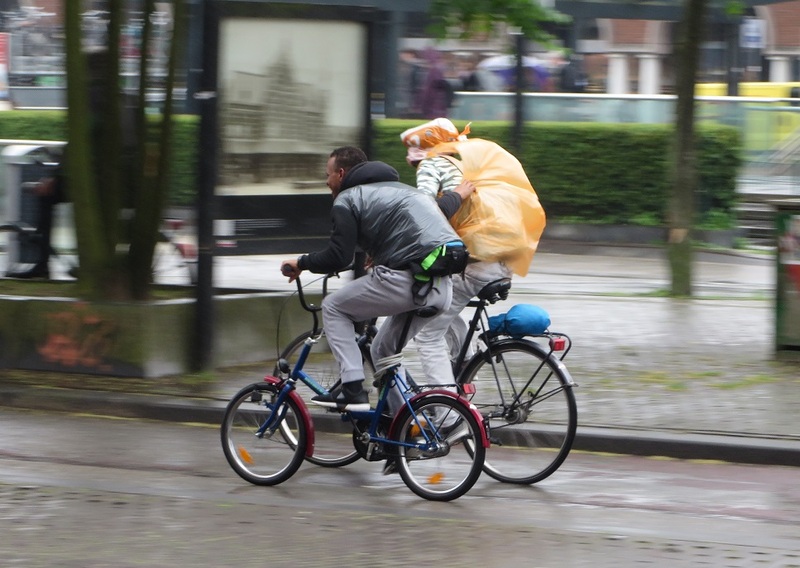 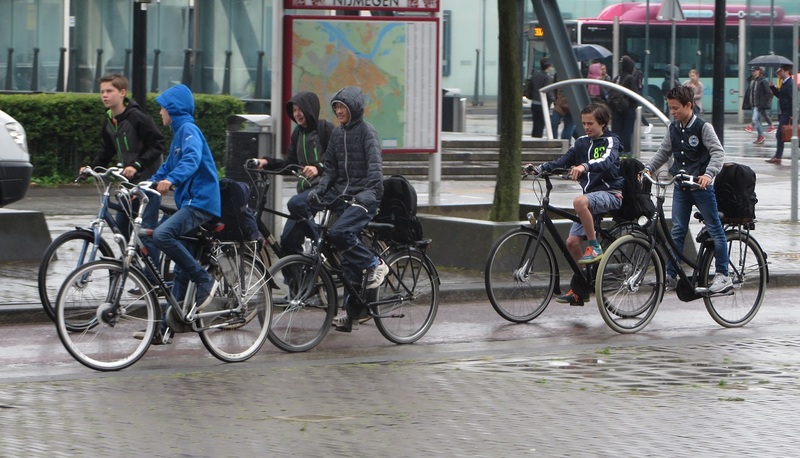 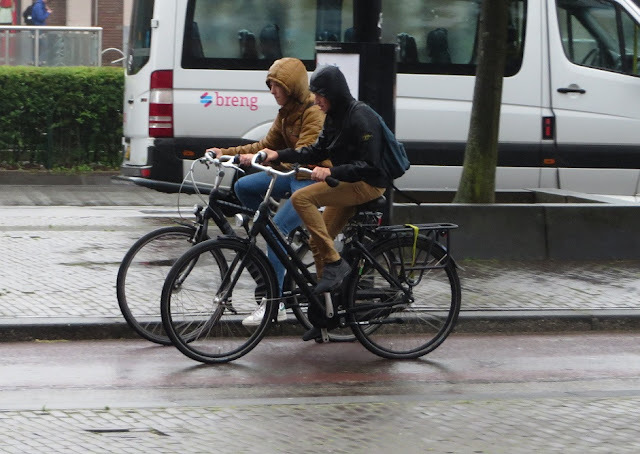 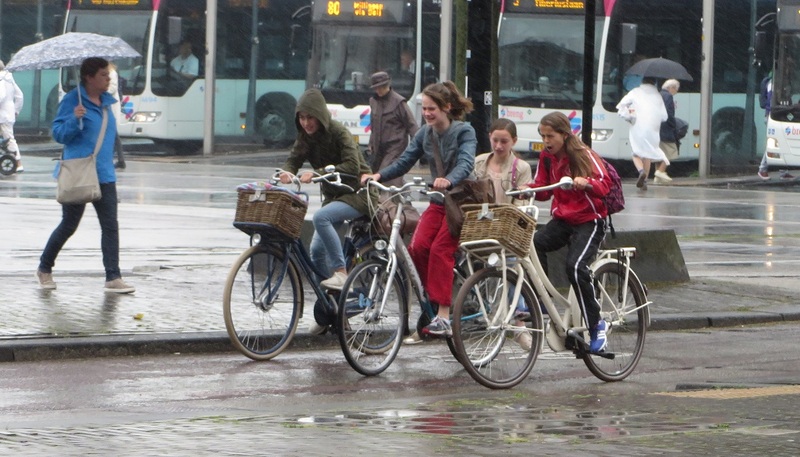 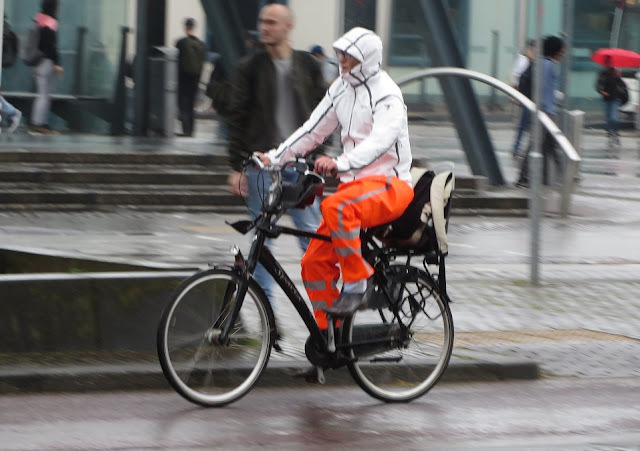 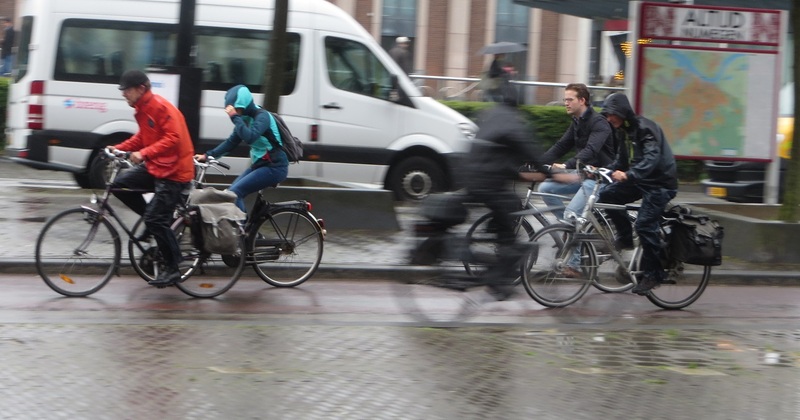 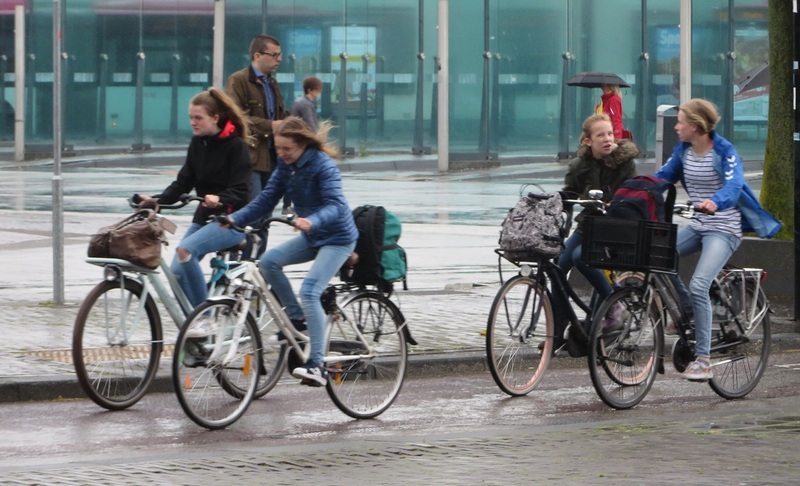 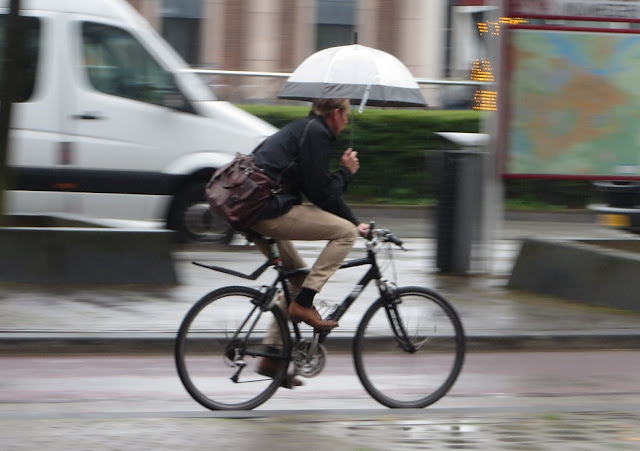 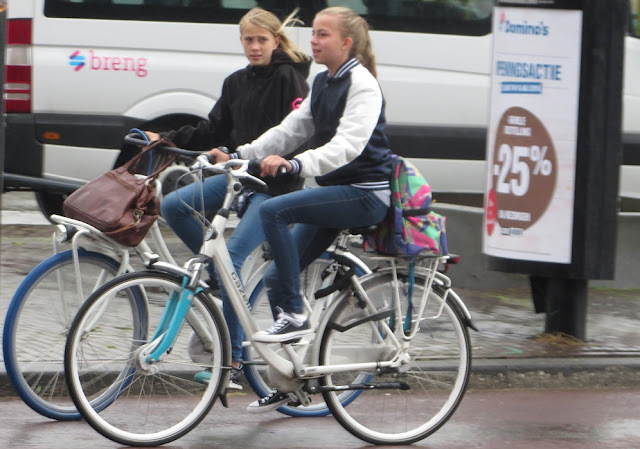 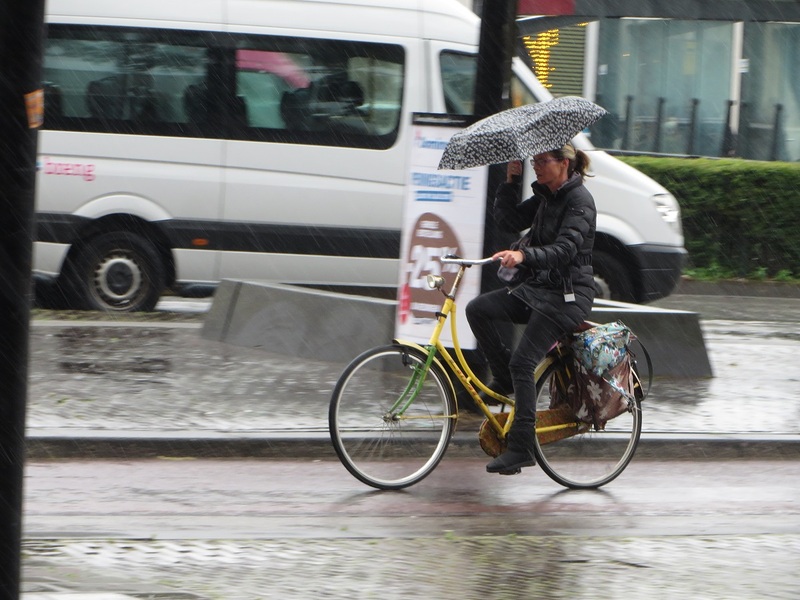 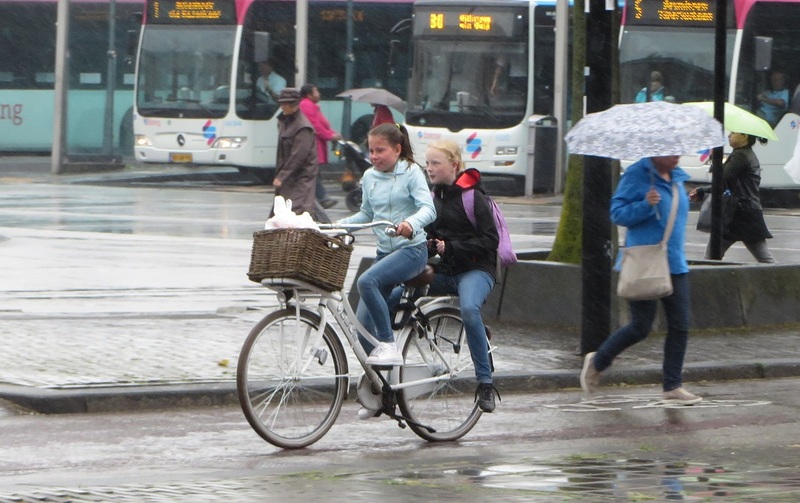 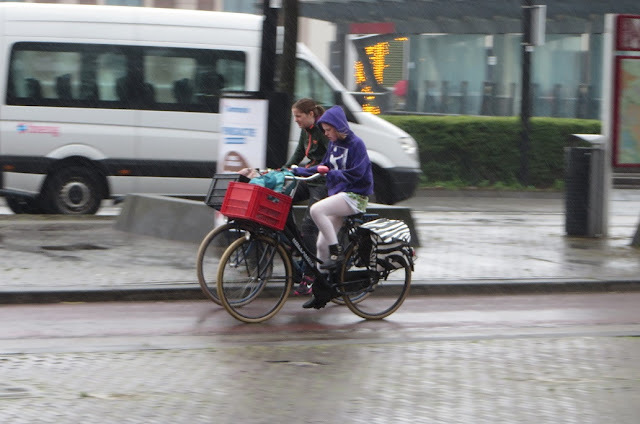 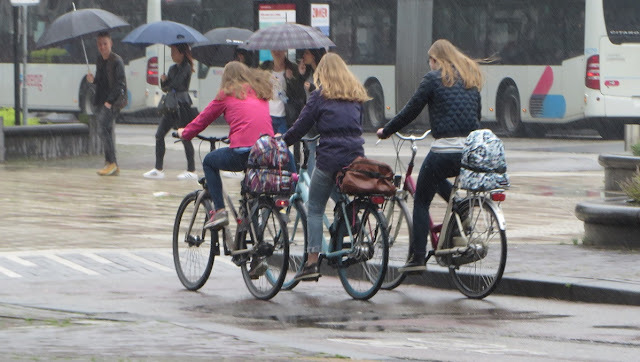 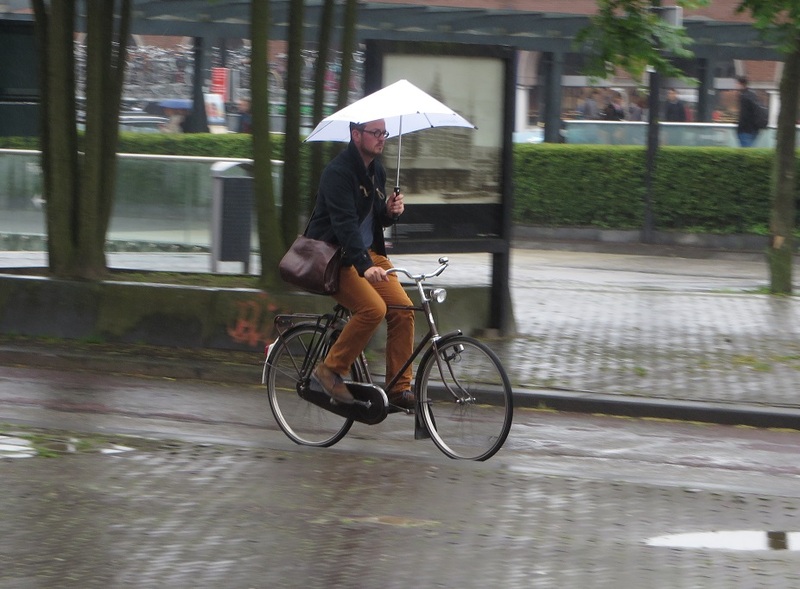 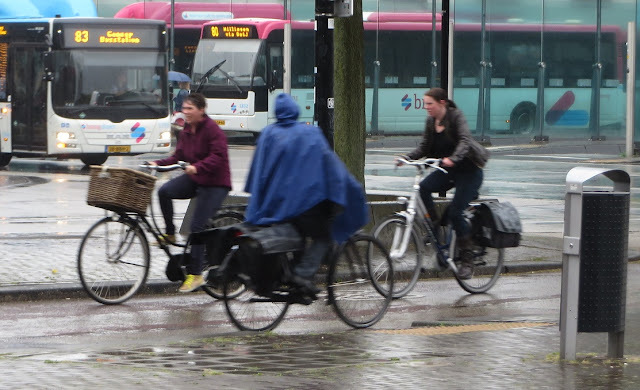 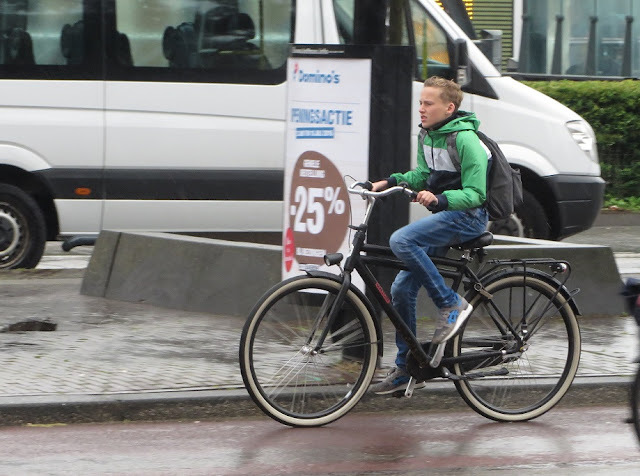 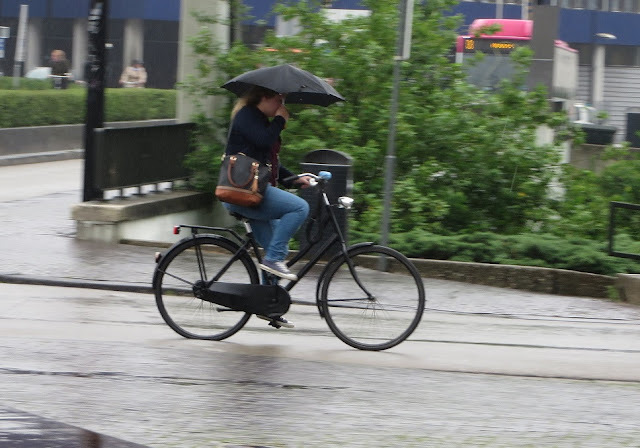 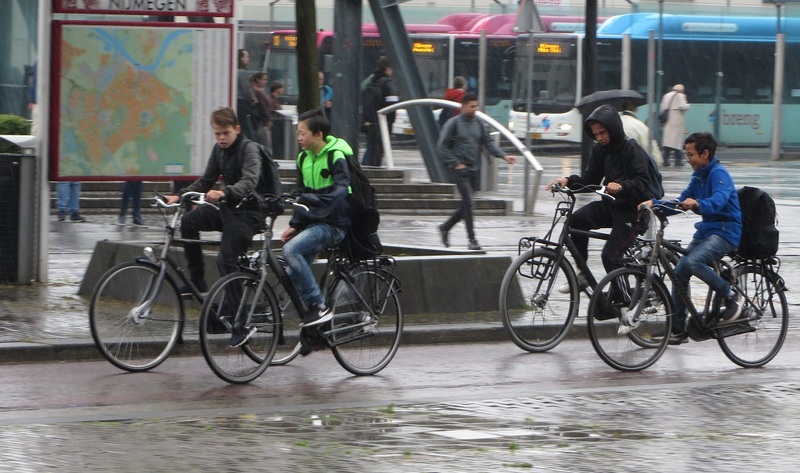 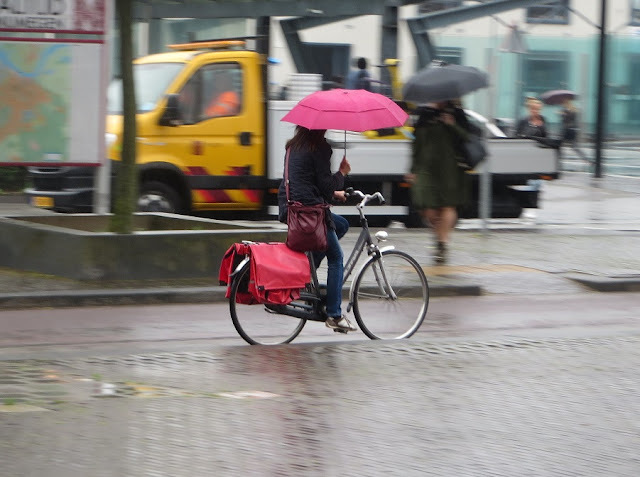 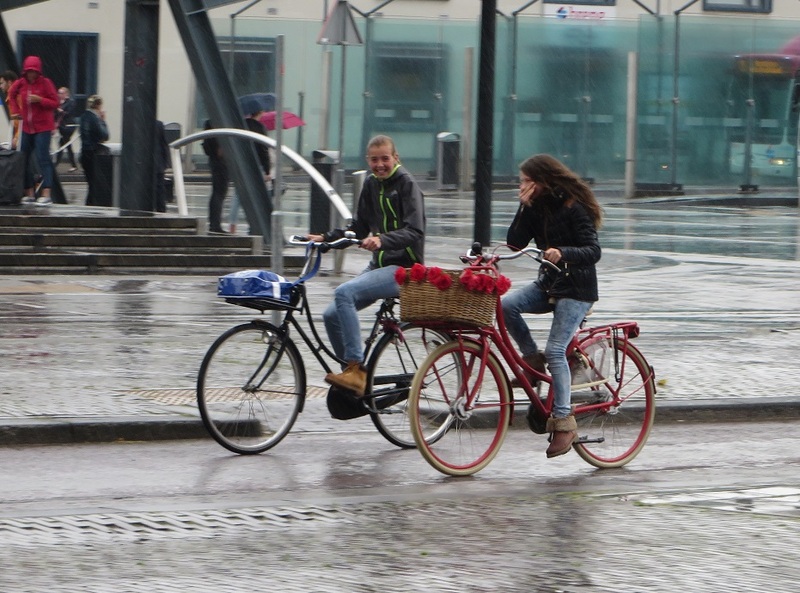 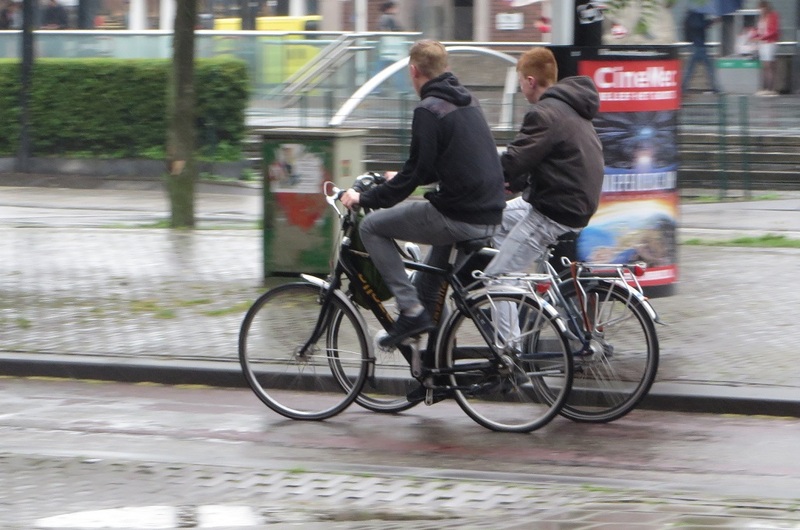 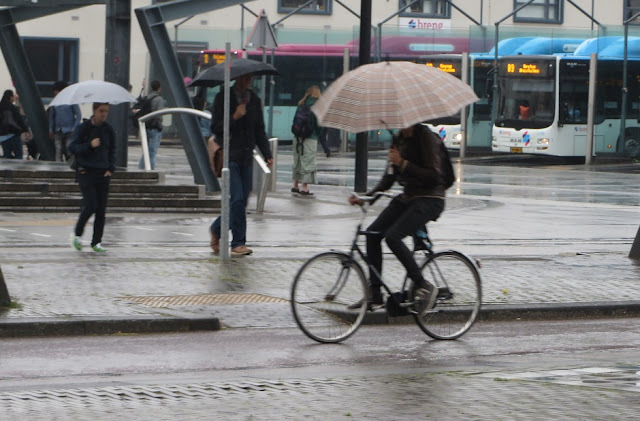 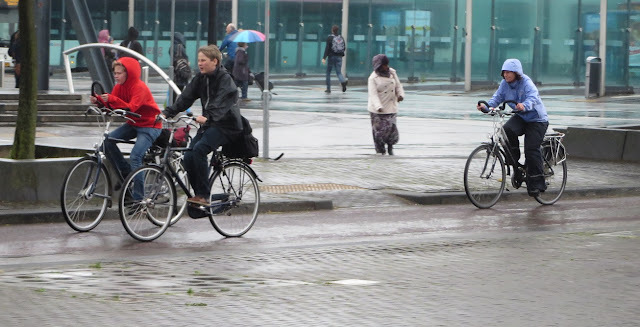 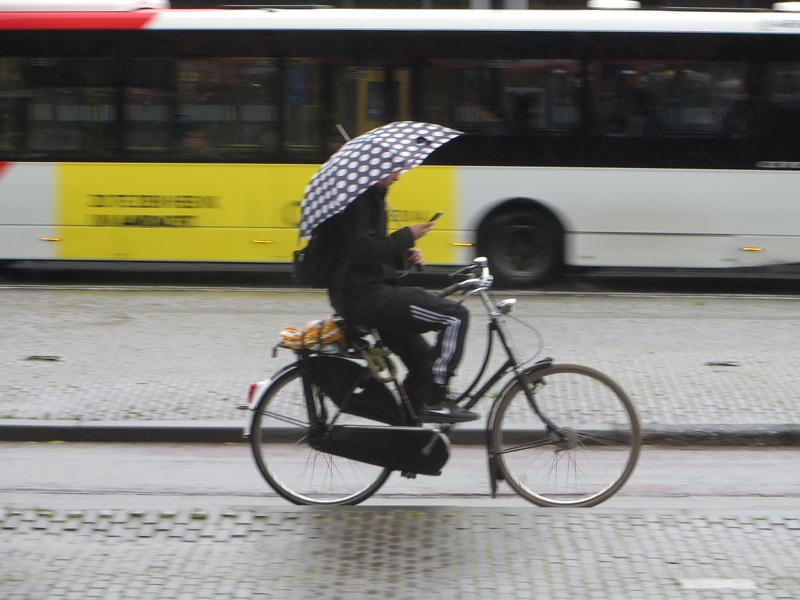 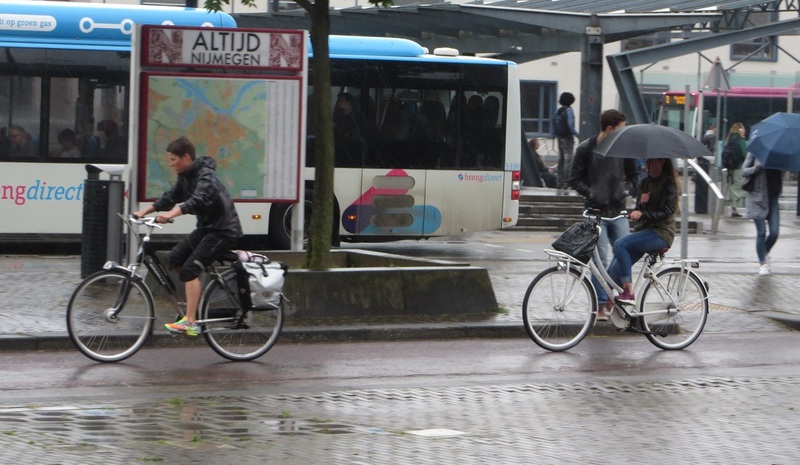 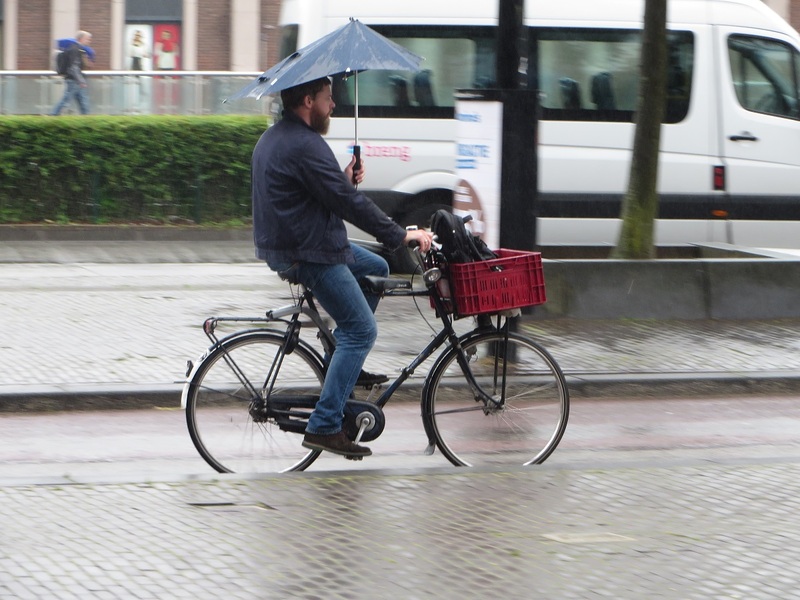 A snapshot of people in Nijmegen getting about by bike on a very wet Thursday morning. 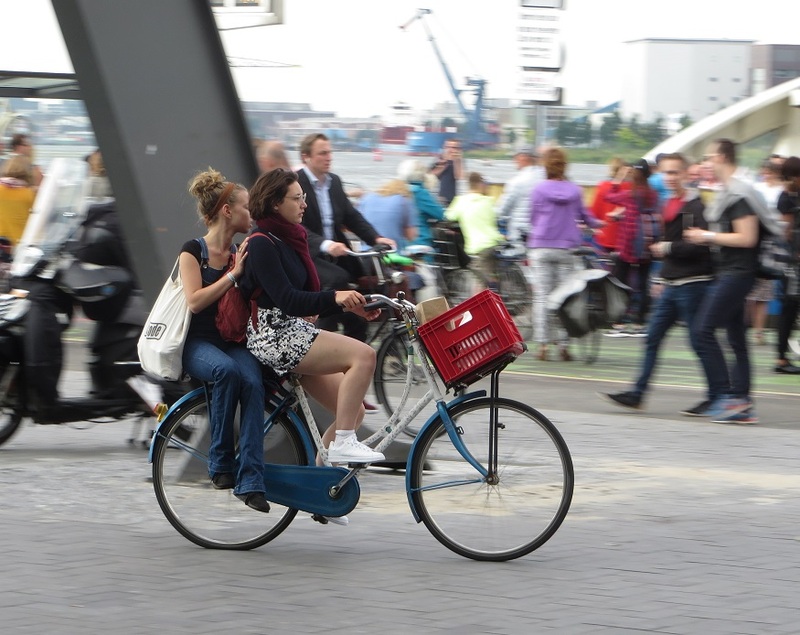 Whilst the ferries dock at specific points meaning it would have been possible to build cycle tracks and pavements from each ferry, along with continuing the two cycle tracks already there, large groups of people on bike and foot need to wait for a ferry to arrive. 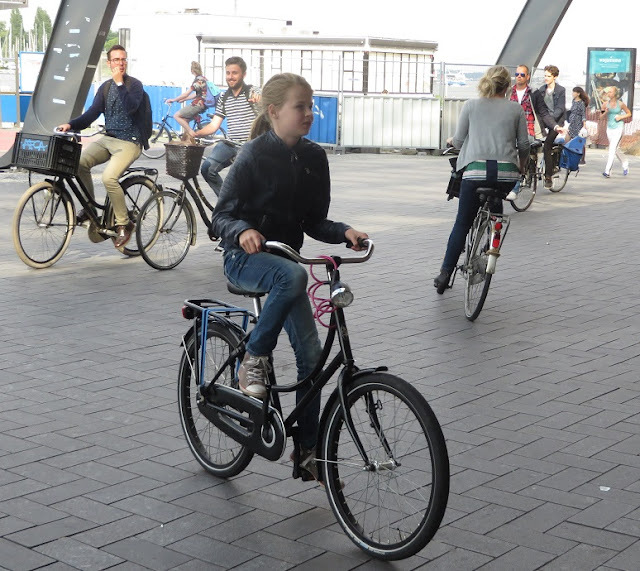 Also dozens of pedestrians will disembark from each ferry and need to cross the cycle track; you can understand why the decision was taken to opt for a shared space area and monitor how it works. 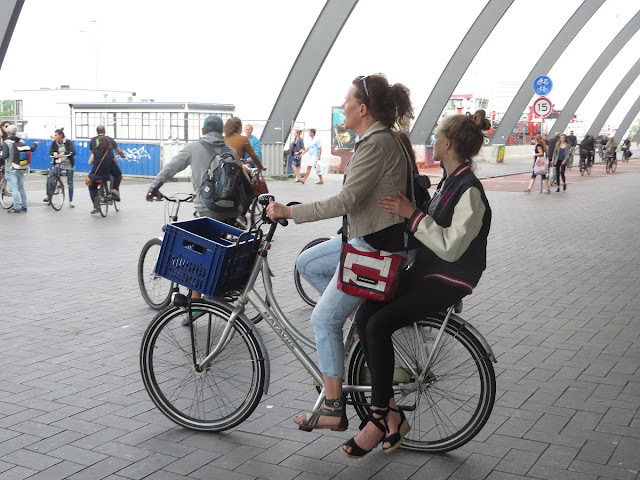 Whilst getting the ferry here to the other side of the IJ river is actually quite a fun (and free) thing to do when in Amsterdam perhaps they will get round to building a bridge or tunnel here one day instead. 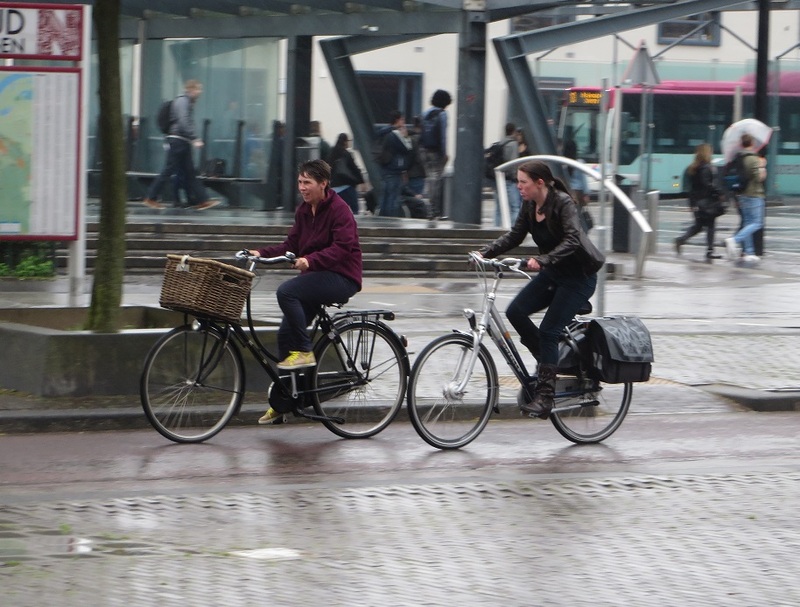 A bit tricky taking photos here as people are coming from, and going to, different directions. 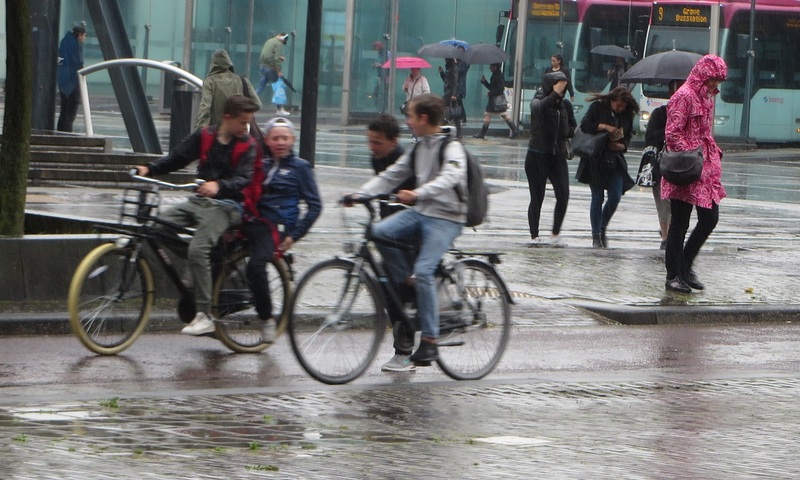 On the bright side hardly anyone noticed me as they were too busy looking out for other people.